Indulge in life's sweet luxuries and transport yourself to Tahiti with this two-piece Monoi layering collection. Cream-oil consistency allows for fast application and absorption. Ingredients: ALCOHOL DENAT., AQUA/WATER, PARUM/GRAGRANCE, BENZYL SALICYLATE, LINALOOL, BENZYL ALCOHOL, LIMONENE, HYDROXYCITRONELLAL, COUMARIN, ALPHA-ISOMETHYL IONONE, GERANIOL, EUGENOL, CITRONELLOL, CITRAL. I cant say enough about the Monoi scents and lotions. The scent is just beautiful and it feels like you are wrapping yourself in luxury. 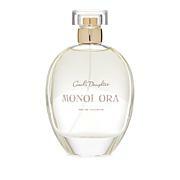 I get SO many compliments on regular Monoi toilette as well as this one, the Monoi Ora. The Ora is so light and fresh, its exactky as Lisa describes it. I love the lotion oil, it satisfies the richness of hydration that my skin needs. 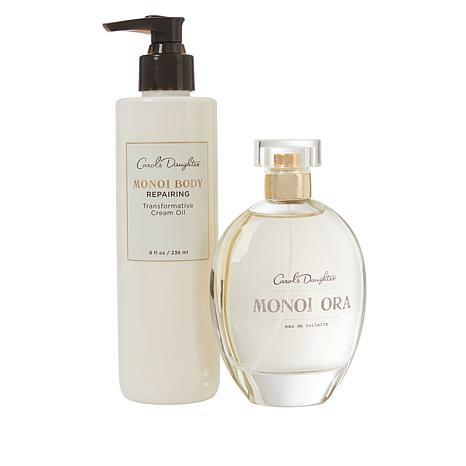 I love Carols Daughter Monoi products. Bravo Lisa!!! Please never stop making. Description during the presentation did not represent this fragrance well at all. Very heavy gardenia scent (I dislike most floral scents, but especially gardenia). One whiff, and I knew it was going back.